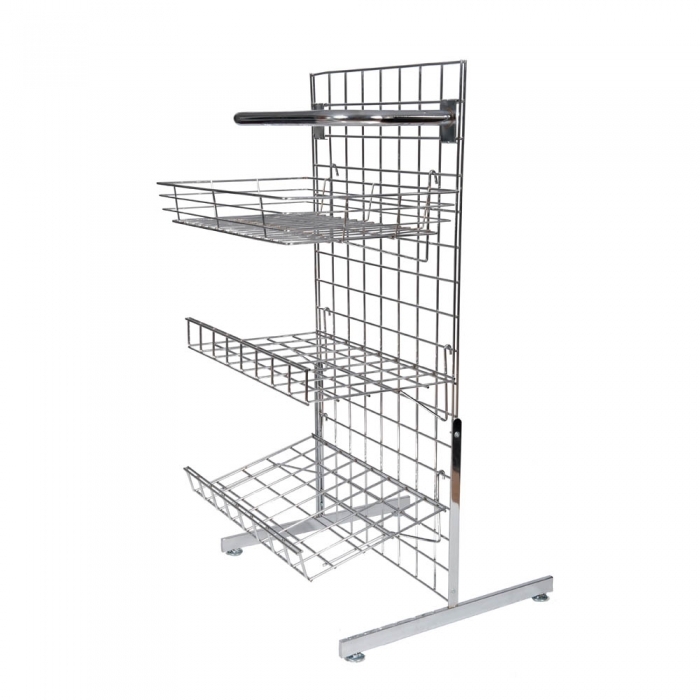 Our chrome grid support legs are ideal for those looking to create a freestanding shop display. 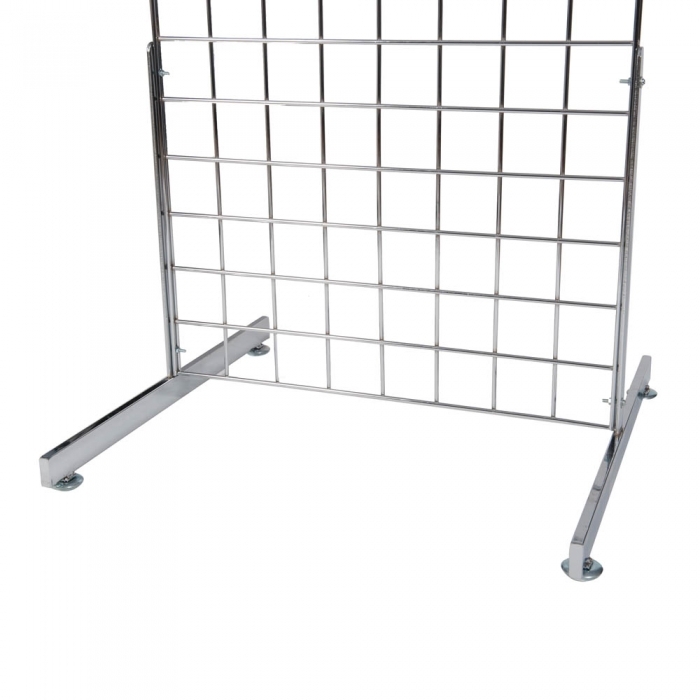 Sold in pairs with adjustable feet, these simply bolt on to the side of the gridwall panel. The T shaped legs protrude to the front and back to give the very best stability. 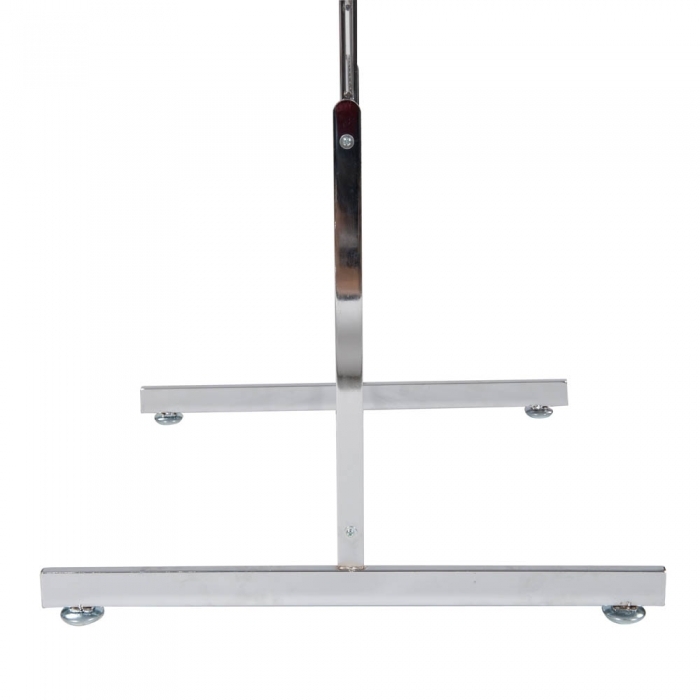 We recommend these light duty legs are used for our 4ft and 5ft mesh panels only.